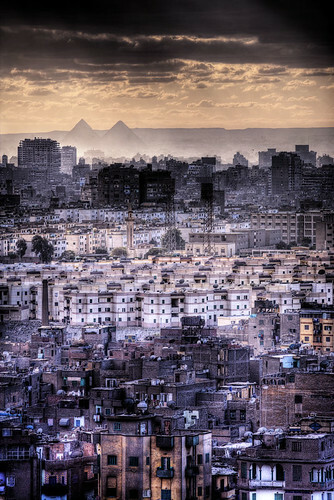 This amazing shot “The Ancient and the Modern” juxtapositions the modern urban sprawl of Cairo with the ancient pyramids of Giza in the background, taken by Flickr user graspnext. The Jawbone Bluetooth Headset, created by Aliph and sold through Cingular Wireless stores not only looks futuristic, but also employs amazing noise canceling technology to allow clearer conversations in noisy places. Jawbone’s Noise Shield technology cancels out background noise and zeros in on the user’s voice. The Jawbone Bluetooth Headset technology queries the sounds around it 500 times per second to help enhance your voice and cancel out background noise, as well as improving the sound clarity through the earpiece. Sounds good, right? Check out the video below or visit Jawbone’s website and click on the “demo” to hear the Noise Shield in action. Currently sold exclusively through Cingular wireless stores, Jawbone’s Noise Shield technology doesn’t come cheap. You can pick up one for $120.